Double-Click on User Agent String. 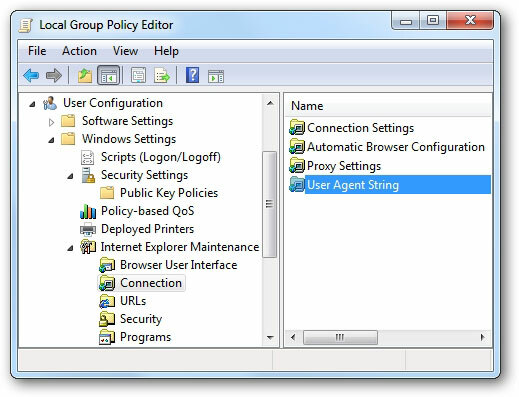 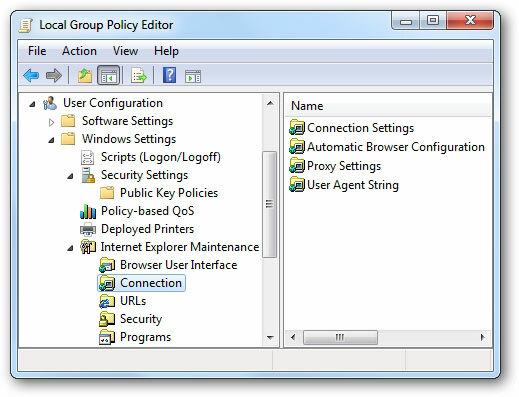 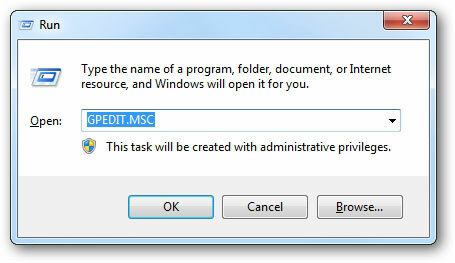 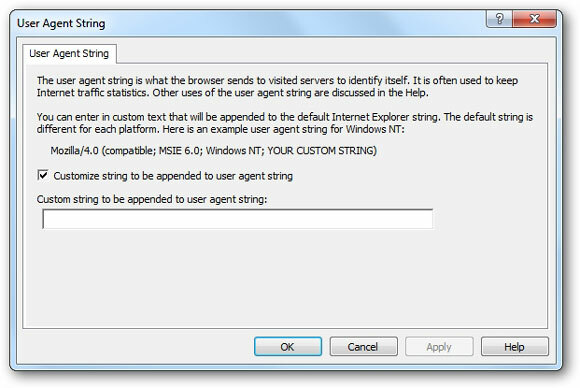 Type your desired user agent string in the Custom string to be appended to user agent string textbox. 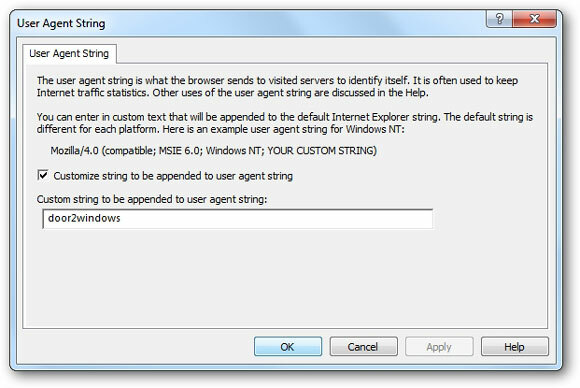 Now Internet Explorer's user agent will be changed.